Villa at Sugar Mountain’s Reserve - 2 bedrooms, 3 baths, sleeps 4. 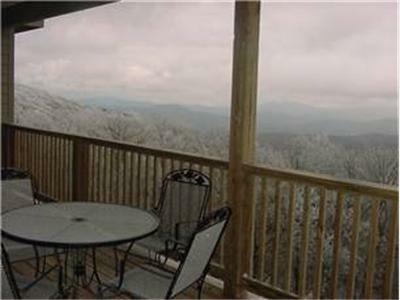 Gorgeous mountain views from the deck, stone gas fireplace, HDTV and WIFI, jetted bathtub, loft. The Reserve offers walking and parking ski access to the Sugar Mountain slopes. Sugar Mountain Ski Resort: BOSS HAWG will entertain guests with live bluegrass music in the cafeteria, today Wednesday, December 28th & Friday, December 30th from 4 - 6 PM. Wolf Ridge Ski Resort anticipates the season opening by the weekend. Local conditions have allowed continuous snowmaking. Final opening decisions should be announced in 24 hours. With snowmaking in progress Appalachian Ski Mountain anticipates opening additional slopes and the Appaljack Terrain Park tomorrow. Skiing today, Dec 28 will be on 2 beginner slopes (Appaltizer & Avery’s Appal), 1 intermediate slope (Lower Big Appal), and a designated Freestyle Area (lower Orchard Run – hike only, no park pass required). Tube World is all sold out for all sessions today, Dec 28. Tube World opens on Thursday at 10AM on a first-come, first served basis and usually sells out during the holiday period as well as because of limited terrain from the lack of cold weather and snowmaking conditions. Cataloochee Ski Area Update: The snow is continuing to fall both naturally and machine made with a current snow showers machine snowmaking. Cataloochee is open on 8 slopes from the quad down with 5 lifts operating on a base of 18"-36" and a groomed surface for day, twilight and night skiing from 8:30am until 10pm. Sugar Mountain Ski Resort slopes are now open to the top. Skiing full schedule on 6 slopes with 3 lifts on a base of 6-24 inches with snowmaking as long as temperatures allow. Holiday rates are in effect through December 30, 2011. ASM is operating today on 2 beginner slopes (Appaltizer & Avery’s Appal), 1 intermediate slope (Lower Big Appal), and a designated Freestyle Area (lower Orchard Run). Tube World in Maggie Valley will reopen on Saturday, December 24 at 10 AM for tubing sessions until 6 PM. Cataloochee Ski Mountain will close at 4:30pm on Christmas Eve, Dec 24 and will be open on Christmas Day from 1 PM until 10 PM. Cooler temperatures are coming today and snowmaking should resume throughout the weekend. Skiing today on 6 trails with 4 lifts on a base of 16-34 inches with a wet, granular surface. December 24 - Santa visits Appalachian Ski Mountain to see who's naughty and nice on the slopes. Ski with Santa from 1 pm - 4 PM. ASM will be closed for the Night Session on Christmas Eve, and is closed for both Day and Night skiing on Christmas Day. The Appalachian Ice Arena is open for afternoon sessions only. Tube World in Maggie Valley will be closed for the rest of the week, due to warm weather preventing sufficient snowmaking and tubing conditions. Beech Mountain Ski Resort - Munchies Game Room and Ice Skating is now open. Ice skating will run in two one-hour sessions, 12 PM to 8p PM daily. Today at Cataloochee Ski Area: Snowmaking continues throughout most of the day and night. Skiing on 50% of the mountain on 8 slopes from the top of the quad down with three aerial lifts and one conveyor lift operating on a base of 26”-44” and a packed powder surface. Today at Appalachian Ski Mountain: After a weekend of snowmaking the slope conditions have greatly improved. Skiing on 7 slopes with 3 lifts on a base of a 10-20 inches. Today at Beech Mountain Ski Resort: Day and night sessions on 5 trails with 4 lifts and a base of 12-24 inches. Sugar Mountain Ski Resort: The slopes are open for all sessions. Summit lift #1 is open to the top. 7 slopes and 4 lifts are open with a base of 8-32 inches. Holiday Rates start today and apply through December 30, 2011. The Tubing Park and the Ice Rink are both open today for all sessions. Today at Cataloochee - Regular season schedule skiing on 6 trails with 3 lifts on a base of 10-36 inches. Warm temperatures continue to prevent snowmaking. Today at Sugar Mountain Ski Resort: 3 slopes with 2 lifts are open for all sessions. Summit lift #1 is open to the three-quarters station with the Upper and Lower Flying Mile and Easy Street Slopes open. Snowmaking will continue as temperatures allow. Santa's on the slopes! Beech Mountain Ski Resort has announced the Grand Opening for their new Roots Ride Shop has been postponed to January 7, 2012 coinciding with other Winterfest activities. The Shop will still open on December 17 and offer a storewide sale. The seasonal opening of The Beech Tree Bar and Grille has also been postponed until further notice. Five trails are open with 2 lifts on a base of 6-16 inches. Appalachain Ski Mountain update: Strudel and Orchard Runwill be closed tomorrow due to severely thinning snow coverage. Beginning Dec. 16, Orchard Run will be open to serve as access to the Appal Jam Terrain Park; users must have a valid park pass to enter the Orchard access to Appal Jam, and understand they ski Orchard Run at their own risk. Upper Big Appal and Lower Big Appal will continue to be open and groomed daily. The Avery’s Appal beginner slope / learning area will be open with good base depth and snow conditions. The Appaljack and Appal Jam Terrain Parks will also continue to operate with over 10 features for all abilities. App Terrain Park still plans to host the first Fresh Friday of the season, December 16, along with STZ – Canvassed Apparel. The event is free to enter, and will take place in the Appal Jam Terrain Park. Lots of prizes are up for grabs, including a new custom STZ Hoodie. Cataloochee Ski Area: Due to overnight weather conditions, skiing will be limited to from midstation down on 6 slopes with two aerial lifts and one conveyor lift operating on a base of 12”-40” and a machine made surface. There will be three sessions of skiing, day skiing from 9 AM - 4:30 PM, twilight skiing from 1 PM - 10 PM and night skiing from 6 PM - 10 PM, with an afternoon half day rate also available. Cataloochee is now on the regular operating schedule of day, twilight and night skiing on Tuesday through Saturday evenings and twilight and night ski each day during the holidays through December 31 with the exception of Christmas Eve, with closing at 4:30 PM and Christmas Day hours from 1 PM - 10 PM. until 10pm. Holiday rates begin Saturday, December 17 and continue each day through Sunday, January 1. Tube World reopens for its regular season on Saturday, December 17 at 10 AM. Today at Appalachian Ski Mountain: Skiing and boarding for day and night session on 10 slopes with 3 lifts on a base of 15-23 inches. Appalachian is also now operating with 2 Terrain Parks, Appaljack and Appal Jam. The AppalTop progression park is available to ride, but currently has no features setup. Today at Sugar Mountain Ski Resort: Skiing for all sessions on 7 slopes with 4 lifts on a base of 6-24 inches with a wet and frozen granular surface. No snowmaking today. Santa's on the slopes today - check him out. Tubing is open for sessions at 10, 12, 2, 4, and 6. The ice rink is open today for the 10 AM, 12, 2, 4, and 6 PM. sessions. Today at Cataloochee: There will be three sessions of skiing, day skiing from 9am until 4:30pm, twilight skiing from 1pm until 10pm and night skiing from 6pm until 10pm, with an afternoon half day rate also available. Ten out of 16 trails with two aerial lifts and one conveyor lift operating on a base of 27”-57” and a machine made surface. Some terrain features will be available to ride - Upper Over Easy, right down from the Snack Shack, accessed by the Easy Way Triple Chairlift. There will be three sessions of skiing, day skiing from 9am until 4:30pm, twilight skiing from 1pm until 10pm and night skiing from 6pm until 10pm, with an afternoon half day rate also available. Today at Beech Mountain Ski Resort: Day Skiing on 5 trails with 3 lifts on a base of 8-20 inches. The Beech Tree Bar and Grille opens on Friday, December 16, 2011 with a new menu. Food and beverage specials will be offered all weekend. Today at Cataloochee: Skiing from 9 AM to 4:30 PM on 10 slopes with two lifts and one conveyor on a base of 27”-57”. Today at Cataloochee: Day Skiing from 8:30 AM - 4:30 PM on 9 trails with 3 lifts and 1 conveyor on a base of 25-55 inches with light natural snowfall. Open: Intermediate Rock Island Run, Advanced Alley Cat and Intermediate Lower Snowbird Trail serviced by the Rock Island Run Quad Chairlift, Intermediate Lower Omigosh, serviced by the Omigosh Double Chairlift. Beginners Over Easy, Beginners Easy Way and Beginners Rabbit Hill serviced by the Easy Way Triple Chairlift, Beginner’s Luck Learning Area serviced by the Moving Carpet Conveyor lift and the Wolf Creek Hollow Teaching area. Today at Appalachian Ski Mountain: Skiing on 4 slopes with 3 lifts and a base of 4-24 inches with snowmaking continuing through the day. Upper Big Appal, Lower Big Appal, Appaljack, and Appaltizer are open today with nice packed powder conditions. Ice skating is open for the regual schedule: Noon to 2pm, 2:30pm to 4:30pm. 7pm to 9pm. Appalachian Terrain Park is now open. Today at Beech Mountain Resort: Day time skiing from 9 AM - 4:30 PM on 5 trails with 2 lifts on a base of 4 - 12 inches. 3 inches of natural snowfall. Today at Sugar Mountain Resort: Skiing on 8 slopes with 4 lifts on a base of 8-30 inches and 3-4 inches of natural snow. SugarFest fun continues today. Snow tubing is closed. Ice skating is open for 10 a.m, 12, 2, 4, and 6 PM. sessions. As part of Appalachian Ski Mtn’s 50th season celebration, a “Golden Scavenger Hunt” begins today and will be open to participants throughout the season. Hidden throughout the ski resort are 50 things that have been painted gold in honor of the 50th year of skiing. Some items will be painted gold for the entire ski season, others will be brought out during select dates and the night before the event. The golden treasures can be as big as a snowgun, or as small as a pencil. The items will be located throughout the Base Lodge in the Gift Shop, Ski Shop, any Restaurant Public Area (Dining Room, Cafeteria line, Annex) or Rentals. The Appalachian Ice Arena and the parking lots are included and On-hill items will be observable from any beginner or intermediate slope.Excluded areas are the Main Office, FSSC office, First Aid Room, Restrooms and Dressing Rooms. Participants may pick up entry forms for the scavenger hunt on opening day @ 9 AM in the Reservations main office. Sugar Mountain slopes are open for all sessions skiing on 7 trails with 3 lifts on a base of 6-24 inches. Snowmaking will continue while temperatures allow. The slopes are open to the top with Switchback, Northridge, and the Upper and Lower Flying Miles open. Big Birch is also open. SugarFest continues through the weekend along with the Pre-season Ski Clinic. Beech Mountain is skiing today on 5 trails with 4 lifts on a base of 6-16 inches with snowmaking continuing. Tube World located in Maggie Valley, four miles from Cataloochee Ski Area, will be open from 10 AM until 10 PM with 1hour and 45 minute sessions available beginning at 10, 12, 2, 4, 6, and 8pm. Cost for tubing is a special $20 per session this weekend and you must be 42” tall to ride alone. There is no two person tubing allowed at Tube World. Wee Bowl will not be open this weekend. Cataloochee Ski Area will be skiing on 50 percent of the mountain on eight out of 16 trails with three aerial lifts and one conveyor lift operating. The base is 15”-45” with a machine made surface. Snowmaking continues along with some natural snow. Day skiing only, 9 AM - 4:30 PM. 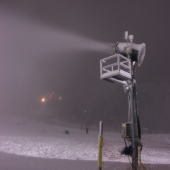 Appalachian Ski Mountain has announced its 2011-2012 Season will open on December 10 at 9 AM, with night skiing beginning on a new schedule starting at 5 PM. This expanded night session will be the longest in the region when Midnight Blast sessions begin, the week after Christmas and also on Friday & Saturday nights in January & February. Regular season rates apply. December 10-11 The Village of Sugar Mountain presents SugarFest. A weekend of winter fun and the official kick-off of ski season on Sugar Mountain. Activities include: Demos of the latest ski and snowboarding equipment, the 18th Annual Adult pre-season ski clinic, Olympic silver medalist Paul Wylie, snowboard jam session, fireworks and after-ski party. Sugar Mountain Ski Resort slopes are open for all sessions and snowmaking is in progress. The Summit #1 lift is open to the 3/4's station servicing the Upper and Lower Flying Mile slopes. Big Birch open's today! The ice rink is open today for the 10 a.m, 12, 2, 4, 6, and 8 PM sessions. Thanks to cooler than predicted temperatures and 3 inches of natural snow, Beech Mountain will re-open for day skiing Friday, Dec 9 from 9 AM - 4:30 PM. Cataloochee Ski Area will be open for day skiing on Dec 9 from 9 AM - 4:40 PM. With snowmaking continuing through the night there should be 8 trails open with skiing on 6 slopes: Intermediate Lower Omigosh serviced by the Omigosh Double Chairlift, Beginner's Over Easy, Beginners Easy Way and Beginners Rabbit Hill serviced by the Easy Way Triple Chairlift and Beginners Luck Learning Area and Wolf Creek Hollow Teaching Area on a base of 14”-35” and a machine worked surface. There will be day skiing only from 9am until 4:30pm, with an afternoon half day rate also available. Day ski only will continue through Monday, December 12 and day, twilight and night skiing will begin on Tuesday, December 13. NC Ski areas and resorts continue to struggle with warm weather conditions. Cooler temperatures and some natural snow are predicted for later today and snow making in all areas will resume. Cataloochee, Beech and Sugar will be closed today, anticipating re-opening on Thursday or Friday. Cataloochee Ski Area will be skiing today on 3 slopes: Intermediate Lower Omigosh serviced by the Omigosh Double Chairlift and Beginners Easy Way and Beginners Rabbit Hill serviced by the Easy Way Triple Chairlift. The base is 8”-25” with a machine worked surface. There will not be any terrain features out on Tuesday and one session of skiing is offered, day skiing only from 9 AM until 4:30 PM, with an afternoon half day rate also available. Please note the changes in the upcoming week schedule: DAY SKI only from 9 AM until 4:30 PM through Friday of this coming week. Sugar Mountain will be closed for skiing today and anticipate snowmaking to begin tomorrow. Ice Skating at Sugar is also closed today through Wednesday, December 7, 2011. Beech Mountain Ski Resort will be closed due to the rain and warm weather, but hopes to reopen as soon as temperatures drop and snow making can resume. 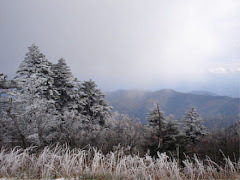 On Dec 5 Cataloochee Ski Area will be skiing on 6 slopes from 9:30 AM to 4: 30 PM - Intermediate Lower Omigosh serviced by the Omigosh Double Chairlift and Beginners Over Easy, Beginners Upper Over Easy, Beginners Easy Way and Beginners Rabbit Hill serviced by the Easy Way Triple Chairlift and Beginner’s Luck Learning Area. The base is 8”-28” and a machine worked surface. Please note that some of the terrain features will be available for you to ride on Upper Over Easy, right down from the Snack Shack, accessed by the Easy Way Triple Chairlift. The upcoming week schedule and will DAY SKI only from 9 AM until 4:30 PM through Friday of this coming week. Sugar Mountain Ski Resort is open for day skiing from 9 AM until 4:30 PM, but will be closed for night skiing until further notice. No Snowmaking today. Ice Skating is open for all sessions at 10, 12, 2, 4, and 6 PM. The Appalachian Ice Arena will opened for the season on December 3 with a regular schedule. Skating is offered during three sessions daily from Noon to 2 PM, 2:30 PM, 4:30PM, and 7 PM to 9 PM. Appalachian’s Ice Arena is located in a spectacular scenic setting overlooking the ski slopes on one side, and the Blue Ridge Mountains on the other. It is the High Country’s only Zamboni maintained ice rink. Cataloochee Ski Area reached its capacity on Sunday, December 4 due to overwhelming response to Can-U-Ski Day. No further traffic will be allowed on the mountain on Sunday. The Slopes will reopen on Monday, December 5 at 9 AM. Cataloochee appreciates the generous support! Tube World will be open on Saturday, Dec 3, from 10 AM until 10 PM with 1hour and 45 minute sessions available beginning at 10, 12, 2, 4, 6 and 8. Special cost for tubing this weekend is $15 per session and you must be 42” tall to ride alone. There is no two person tubing allowed at Tube World. Tube World’s regular schedule will begin on December 17. Beech Mountain Resort will open Saturday, December 3rd, for the 2011-2012 season. The resort will operate from 9:00 AM to 4:30 PM. Day tickets ar available for $30 and half day tickets for $20. Ice Skating is open today for all sessions today. With only 2 nights of marginal snowmaking, Appalachian Ski Mountain does not currently have adequate snow levels or conditions to permit skiing or riding this weekend. All ASM staff will be watching the weather closely, and hope to resume snowmaking as soon as temperatures permit; sometime mid-week next week. Continue to get Free Ground Shipping on Orders Over $75. Enter in promo code SHACKFGS75 at checkout. Now good through 12/31/11. Sugar Mountain Ski Resort will be operating today from 9 AM - 4:30 PM. Look for the night session to be available this weekend. Snow making will continue as temperatures allow. Ice Skating is open today for sessions at 10am, 12, and 2pm.